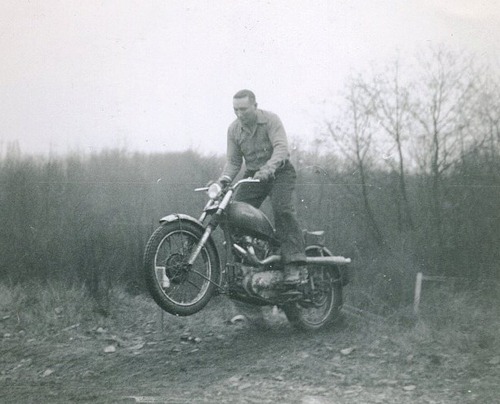 Although motorcycle riding has always been regarded with a daredevil flare, in the early days it was a staple of transportation. Motorcyclists in the 1920s, when the Tacoma Motorcycle Club was born, were more likely to wear a tie and sporty little cap than the leather of today. 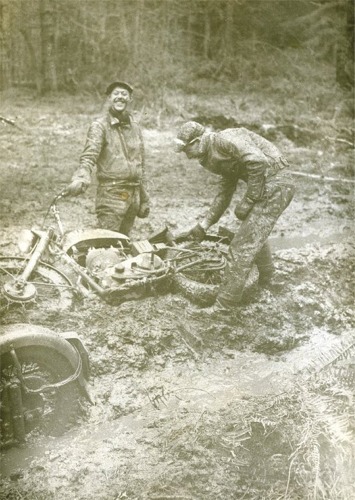 Sporting events associated with motorcycle riding, racing, field meets and hill climbs became the focus of attention for the club through the '30s and '40s. In 1947, TMC bought acreage south of Puyallup to build a new clubhouse and ¼ mile dirt oval track. The annual Bob Knox Memorial Day Race was the major motor sports attraction of Pierce County in those days. Feeling the encroachment of urban sprawl, the club retreated to the Graham District, where Graham Speedway was built on 80 aces of farmland. Every Friday night, AMA professional racing shows prevailed for 15 years until protesting neighbors again surrounded the club and soaring property values prompted the club to sell out. The TMC continues to support the sport through several events in the Northwest, and by hosting multiple club member and family campouts and play rides throughout the year.